The 2nd trailer for Star Wars: Episode VII - The Force Awakens dropped at Star Wars Celebration in Anaheim literally minutes before we came to record this episode, so if you like your reactions visceral we have you well covered this week. Also on the show: Matt Vaughn to reboot Flash Gordon? Updates on Mallrats 2 and Suicide Squad and our thoughts on the latest trailers for Terminator: Genisys, Ant-Man & Mission: Impossible - Rogue Nation. 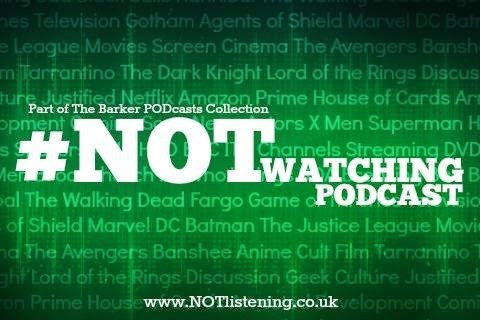 All this and more on another Movie News-packed #NOTwatching Podcast! Matt Vaughn to direct Flash Gordon? Maggie - Arnie does The Last of Us?? ?